But why is it teal? 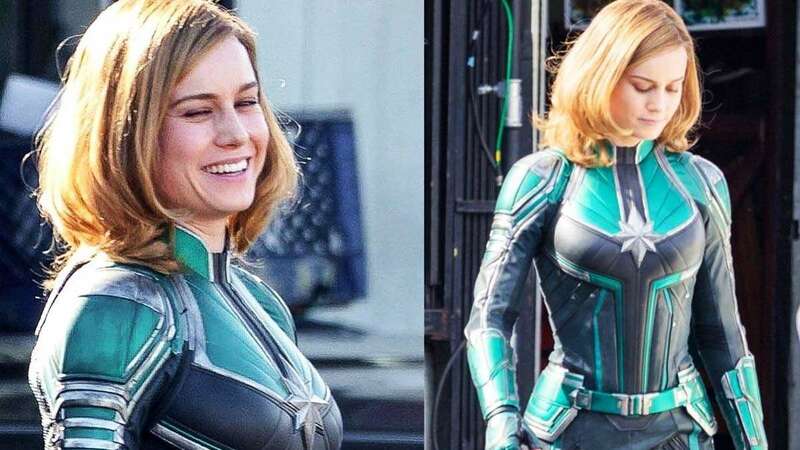 After years of anticipation, Captain Marvel fans waiting for any scraps of information about the upcoming movie finally got a glimpse of Brie Larson's Captain Marvel costume. And it is...teal? In other Captain Marvel news, Brie has also been suiting up in an Air Force uniform, presumably because Carol Danvers is an Air Force pilot when she's not fighting off bad guys in space. How many Ant-Mans do we have to sit through before this comes out?